I recently told you guys about a Fashion Show taking place at Glasgow Caledonian University which was showcasing the work of 2nd to 4th level fashion business students, the show was a resounding success and I think its fair to say that these students definitely have the flair and creativity that is essential as a designer. 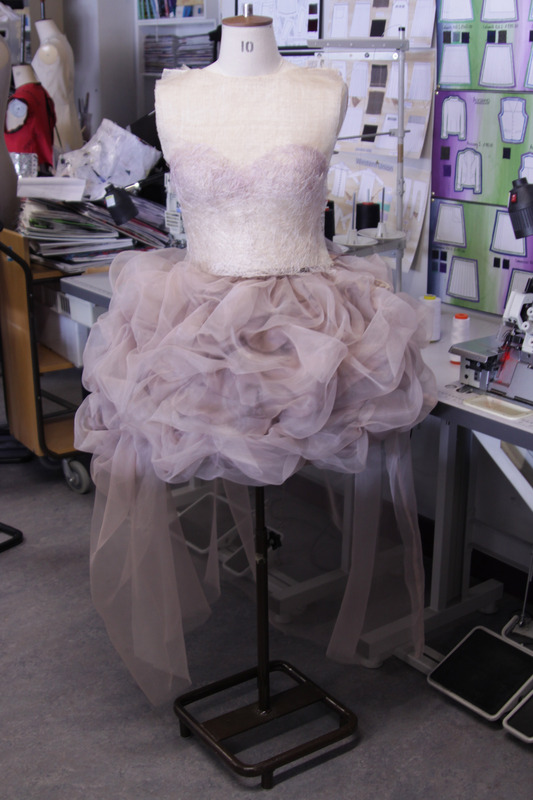 However, just before the actual show, I was lucky enough to meet three of the design students who allowed tellusfashion to have a quick word and a little preview of their work… take a look below at our review on the first designer Kayleigh Swan. Kayleigh definitely showed a lot of potential as a designer. My first reaction when I saw her piece was complete adoration. Kayleigh present us with an absolutely stunning dress that was inspired by corals and sea life. 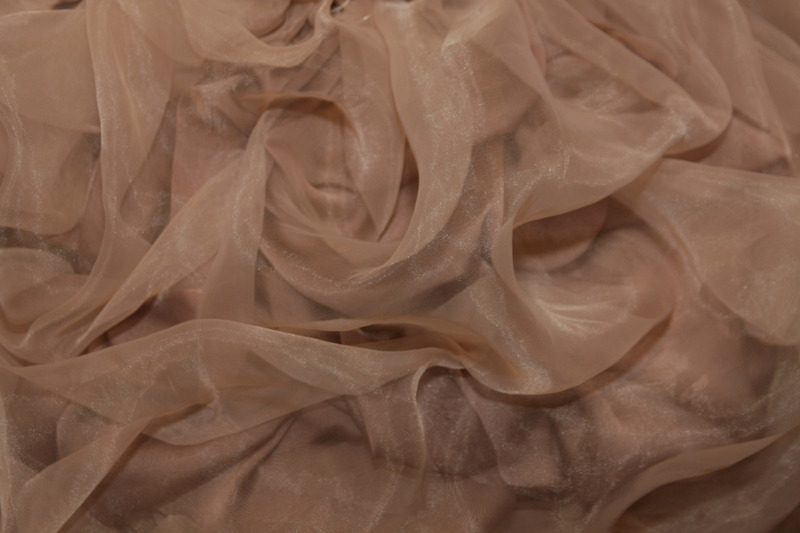 She mainly used scrunching as her technique for this garment, which is evident in the skirt of the dress. 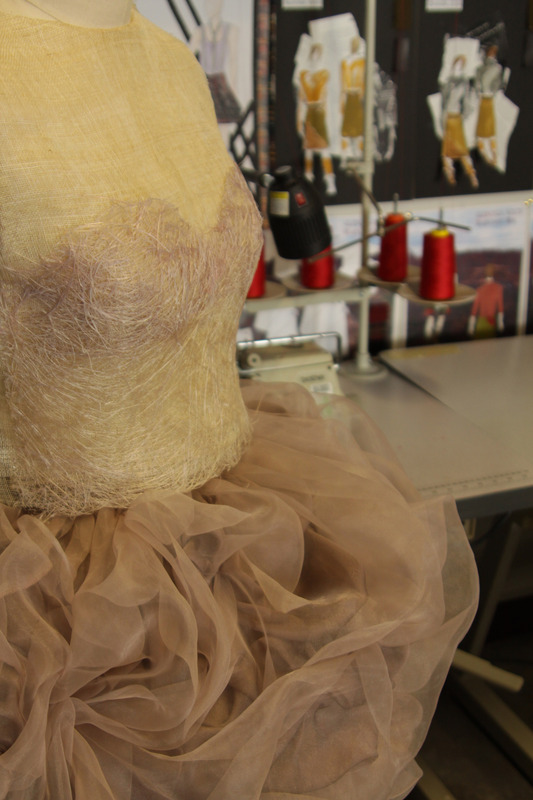 The top half of the dress was constructed using a special material called Sinamy which is molded to the dummy and model by stretching the material out when its glued. We asked Kayleigh what the hardest thing about her course was and she explained that “being given free range to design what you want is scary” however, she also noted that it can be a good thing as a designer too. Kayleigh’s aim as a designer is to create fun flirty pieces with a cool edge. She wants to promote femininity with an edge. Its always a exciting opportunity for TellusFashion to be invited along to fashion shows, but its even better when the fashion show is filled with emerging designers. This Thursday, the fashion school at Glasgow Caledonian University will be hosting their yearly fashion show which showcases the final projects from its 2nd, 3rd and 4th year students. Last week I met with three designers to be featured in the show and I was extremely impressed by the sheer quality and imagination evident in their work. I can’t wait to see the full show and what the other designers have on offer. This year the fourth year students were set a challenge to create a ‘cowboy couture’ styled kilt and excitingly 2 of these pieces were chosen to be featured in New York Fashion week’s Dressed to Kilt show (http://living.stv.tv/fashion/250779-dressed-to-kilt-fashion-students-bring-new-york-style-to-scotland)… needless to say the competition was high so I can’t wait to see them all on the runway!